In Rebeca Romeo Rainey’s opinion; community banking is the most rewarding, and at the same time, demanding form of financial service to offer. Rainey is the CEO of Independent Community Bankers of America (ICBA). She recently joined America’s number one movement specifically created to stand for community banks. Having spent years of her career in the banking industry and previously served as the CEO of her family’s bank—Centinel Bank—Rainey has so far made a massive impact on community banking. She insists that community banking has a lot more to offer clients—way beyond the mere completion of transactions— noting that community banks issue over 50% of all micro-business loans, and over 80% of agricultural loans countrywide. However, regulatory and technological barriers have hindered the hosting and administration of these services among community banks. ICBA’s CEO warns that financial services, specifically payments, are evolving and transforming at the most alarming rate in the sector’s history. As a result, upcoming community banks with limited financial capabilities find themselves lagging behind. And because of the rapid surfacing of these innovations community banks must keep up and fill up a less-exploited niche. The reason community banks haven’t matched up to their counterparts is; they don’t house internal tech teams to keep them up to pace with the industry changes. It is for the same reason that ICBA launched a supplementary to its payment service— the exclusively-owned ICBA Bancard. Rainey says Bancard’s goal was to allow banks access to complete and reasonably-priced payment services to meet customer requirements — and the needs of the community. “Bancard’s CEO, Tina Giorgio, has also played a noteworthy role in community banking, specifically in operations which have remained essential in developing and releasing products to the banks they partner with,” she says. “Tina’s unique perspective of community banking in terms of the actual products, handling relationship between service providers and meeting client needs,” Rainey added. Rules guiding community banking have been stringent and burdensome over the past decade until last month when Congress unanimously agreed to ease the restrictions of Dodd-Frank, specifically concerning how it treated micro and medium-sized banking institutions. Sponsors of the Economic Growth, Regulatory Relief and Consumer Protection Act, which became effective as of late last month, made it clear that the bill seeks to address the criticism that most of the original provisions of Dodd-Frank Legislation did not treat upcoming community banks the same as they did with big banks. And unfair regulations are the reasons small banks aren’t scaled or tiered to the low risk they pose to the overall economy. The burdensome regulation of community banking allowed only a few loan opportunities to local households, business owners—most who turned to merchant cash advance— and farmers thereby slowing down regional economic growth. ICBA has been the driving force behind this bill anticipated to save community banks from oppression, and most U.S citizens hope it passes. Author Bio: As an account executive, Michael Hollis has funded millions by using different financial solutions. 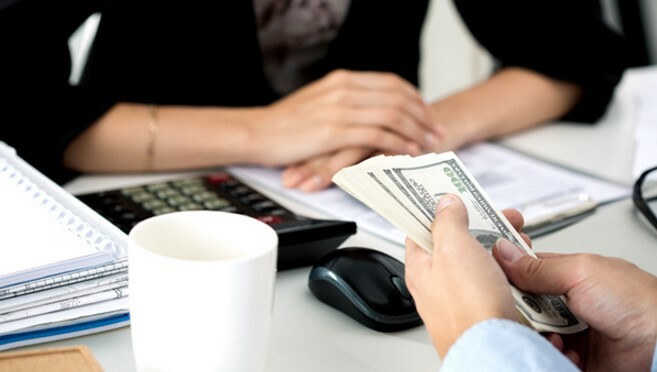 His experience and extensive knowledge of the industry has made him a Merchant Cash Advance expert at First American Merchant. What’s The Difference Between Retail and Corporate Banking?